Tyres are essential components of a vehicle which transfer the energy from the engine to the tyres making your vehicles run. A properly inflated tyre is vital to keep your wheels in optimal condition contributing to a safer and pleasurable motoring. Therefore, it is important to consult your tyre pressure guide and ensure that tyres remain in optimal conditions. Manual inspection of your tyres before using the car is suggested even if you’re not travelling far or just going to the corner for some errands. You can see if the tyres look flat or lack air by looking at the tyres. 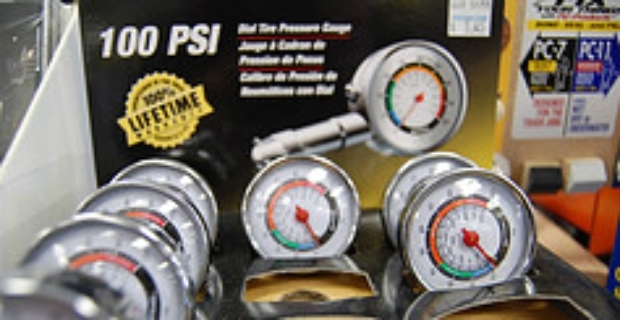 Note that visual inspection is not 100% accurate, so it's best to get an air pressure gauge. 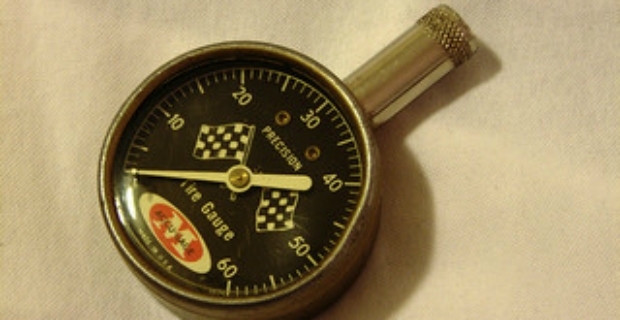 If you have a tyre gauge at home, you can check the pressure of the tyre yourself. Otherwise, a quick visit at the station should give an indication of the tyre pressure. Each vehicle varies according to the amount of air that should be put in the tyre. Your vehicle manual has a specific section for tyre pressure under normal and heavy load conditions.Thus, if you are going on a trip and are expecting to carry lots of luggage, make account for this and adjust your tyre pressures accordingly. When towing, the maximum load rating of the vehicle may be exceeded, but not more than 15%. In addition, pay attention to speed limits (100km/h or 62mph) when towing. The tyre pressure is also located on the tyre itself. So if you are not sure how much or how little air to take out, it is best to consult your tyre pressure guide. There are also problems of machines that are not well calibrated, and readings of the tyre pressure vary from one machine to another. An over or under inflated tyre is one of the many causes of roll-overs and gives poor handling performance. Under inflated tyres can lead to tyre failure even if it’s only underinflated by 6 Psi resulting to 20% of the tyre’s overall pressure. A tyre's tread also wears out quicker if tyres are not inflated properly. Soft tyres deflect easily contributing to their deterioration. On the other hand, it is difficult to drive with overinflated tyres that are hard. They are not responsive to irregularities on the road as well as bumps and potholes. The only advantage is higher than normal inflation leads to better steering and cornering response. Hence, getting your tyre pressure to the right levels is important to optimise tyre performance and improve fuel economy. In addition, tyres are not worn out quicker and vulnerability to roll-overs is reduced. Handling and performance are greatly improved. By using the right tyre pressure guide, you'll be assured that the life span of tyres is longer and you'll be safe and comfortable in driving your vehicles.